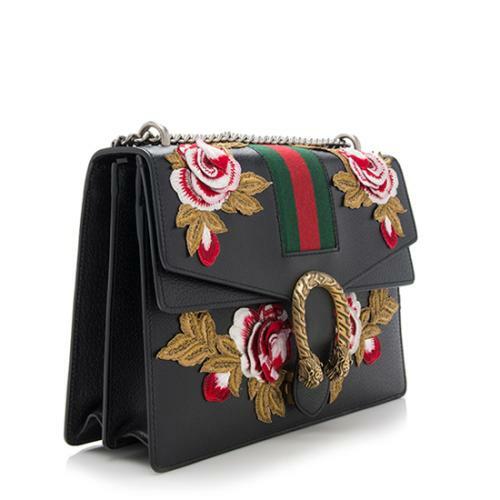 This Gucci Dionysus Medium shoulder bag is made from black leather with embroidered rose appliques and antique silver-tone hardware. 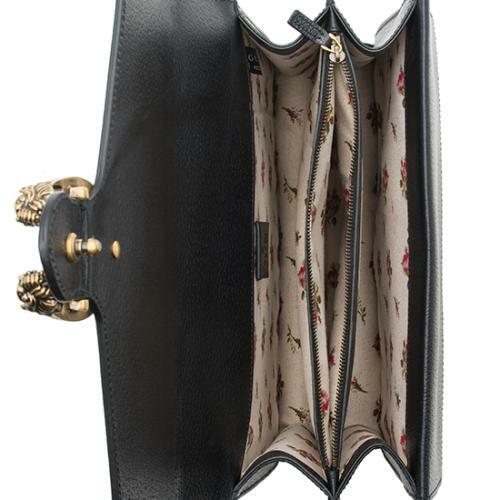 Details include a chain linked shoulder strap, push lock closure, and fully lined interior with two pockets. Carry this style with the shoulder strap doubled or extended. We'll deduct 50% of your total rental fees from the $4200 purchase price of this item*. So go ahead and fall in love with it!